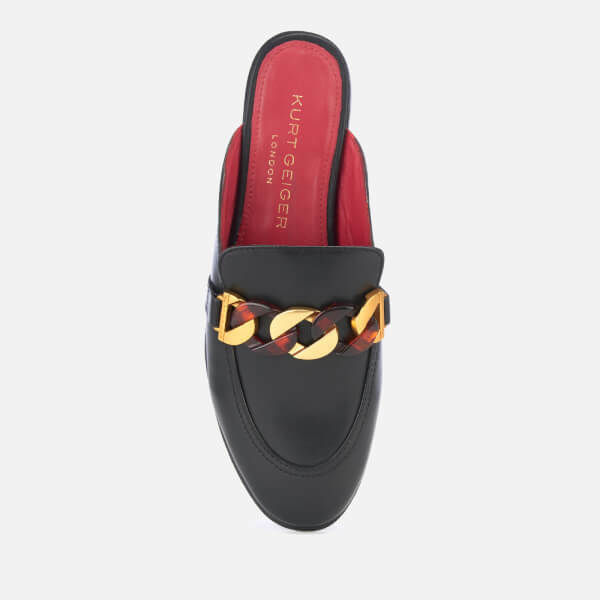 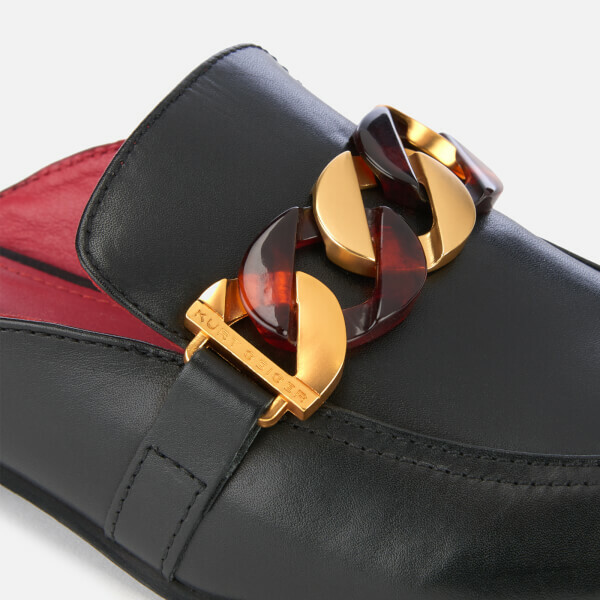 Backless black leather loafers from Kurt Geiger London with gold-tone and opaque chain detail on the front. 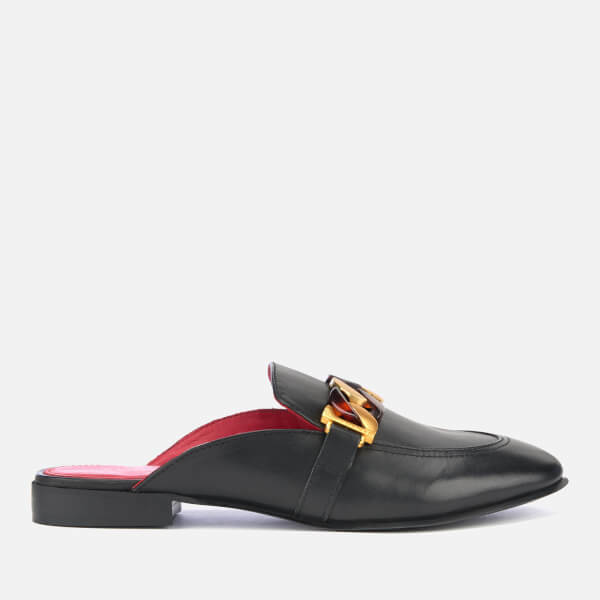 The slip-on loafers are detailed with a round toe and sit on a slim tonal sole with a small heel. 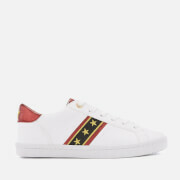 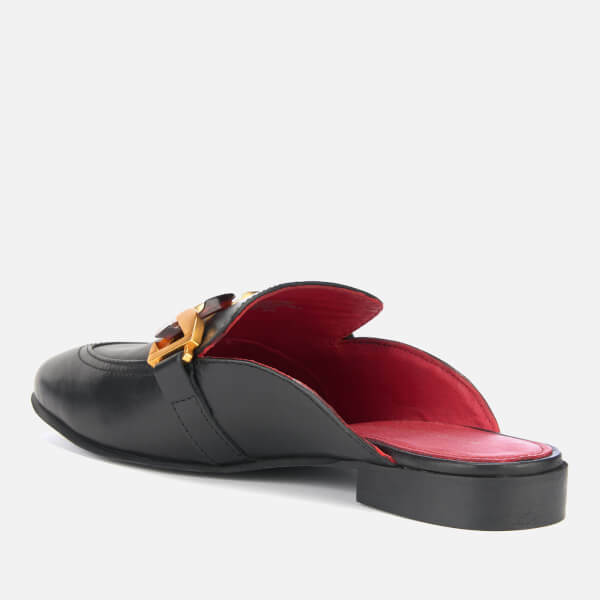 Finished with a contrast red leather lining and gold-tone Kurt Geiger London branding on the footbed.